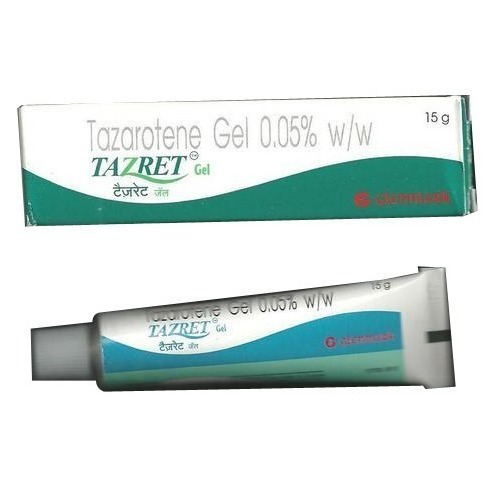 Prominent & Leading Exporter from Mumbai, we offer tazret forte cream, adaclene gel, acnelak pimple care soap, brite lite, tazret gel and demelan. SIDE EFFECT Skin burn Itching Irritation Redness of skin. 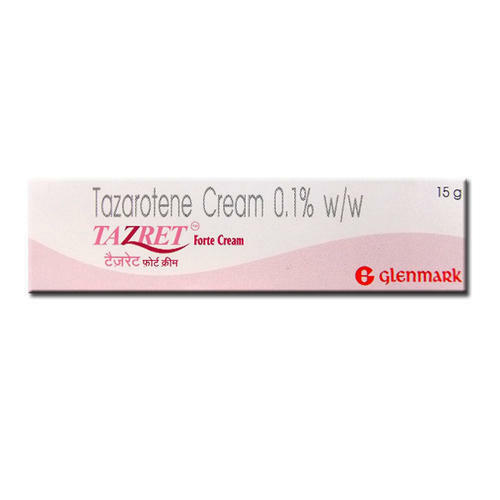 Tazret Forte 0.1% Cream helps to speed up the process of skin renewal as it is a compound formed from Vitamin A. It helps to heal the surface of the skin and help in the overall improvement of the texture of the skin. The drug is also helpful in treating reducing the appearance of wrinkles, crow’s feet and smile lines on the face. It reduces benign facial growths, helps to lighten dark patches and decrease white patches on the skin that causes discolouration. 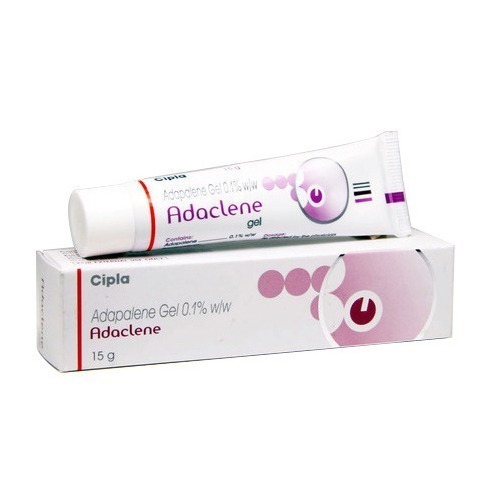 Adaclene 0.1 % Gel is used in the treatment of acne. It helps in the faster healing of the formed pimples and also decreases the number and severity of acne pimples. 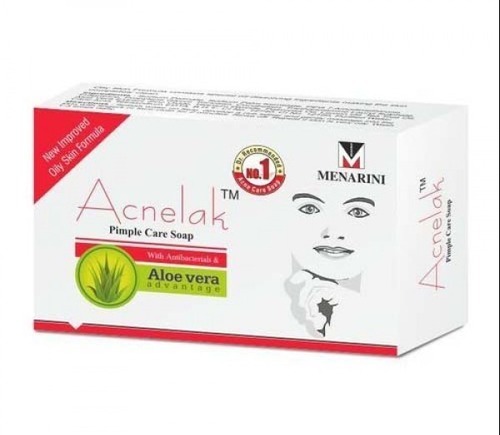 Acnelak Pimple Care Soap has a specialised oil-free formula that cleanses the excess oil from the acne prone skin, thereby, leaving it completely clean. Its unique ingredients provide antimicrobial action and soothe the skin. Brite Cream is used to reduce the colour of skin and remove any dark spots like age spots, freckles, and other skin discolouration associated with skin trauma, pregnancy, birth control pills, eczema or hormone replacement therapy. 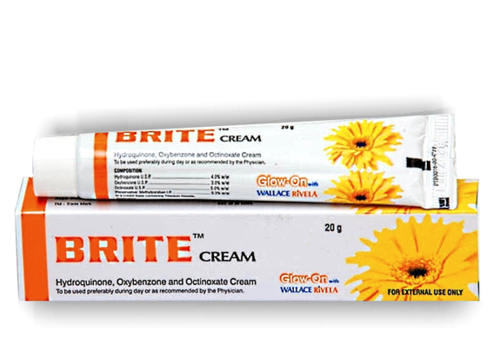 Brite Cream acts as a skin-bleaching agent and works by inhibiting an enzyme reaction in the applied skin cells. 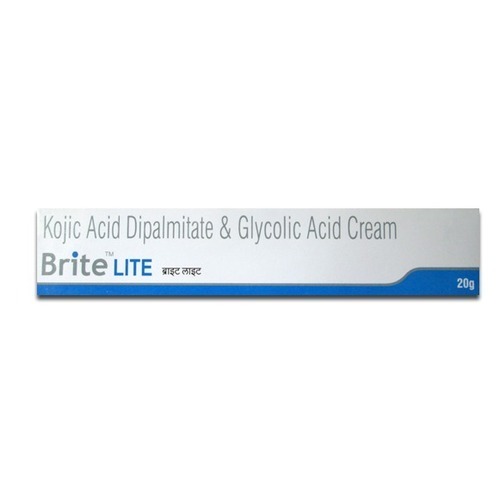 Brite Lite Cream is used for Skin lightening, Melasma, Hyperpigmentation of the skin, Skin hyperpigmentation, Photodamaged skin, Acne treatments, Uv-mediated skin responses, Wrinkles, Lightening the skin, Anti-aging treatments and other conditions. Brite Lite Cream may also be used for purposes not listed in this medication guide. 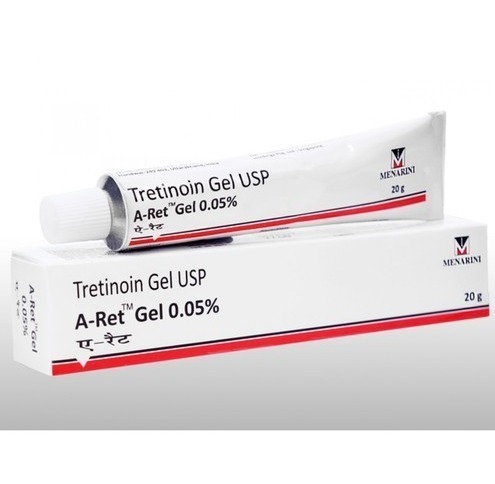 Manufacturer Menarini India Pvt. Ltd. Manufacturer Galderma India Pvt. 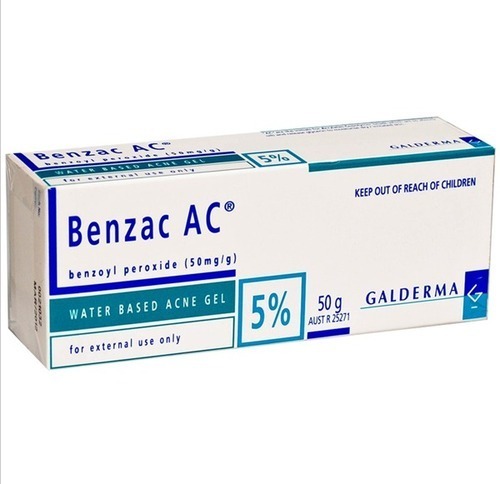 Ltd.
Benzac AC 5 % Gel is a topical preparation used in the treatment of acne. It should be applied to the affected area once a day and increase the frequency gradually. Do not apply on an itchy or irritating skin. Avoid exposure to the sunlight. 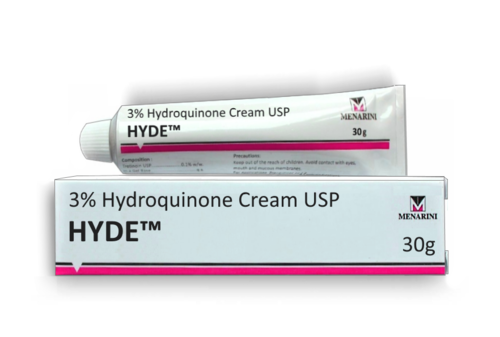 Hyde 3 % Cream is an effective topical medicine used to treat dark colored patches, freckles, and spots on the skin that appear due to sun exposure, hormonal changes, aging etc. Zoflut 0.05 % Ointment is a corticosteroid that is used to relieve symptoms associated with asthma and allergic rhinitis in adults and in children above 4 years of age. The topical form of this medicine is used to treat a variety of skin conditions such as eczema and dermatitis. This medicine is not recommended for use as the primary treatment for asthma. 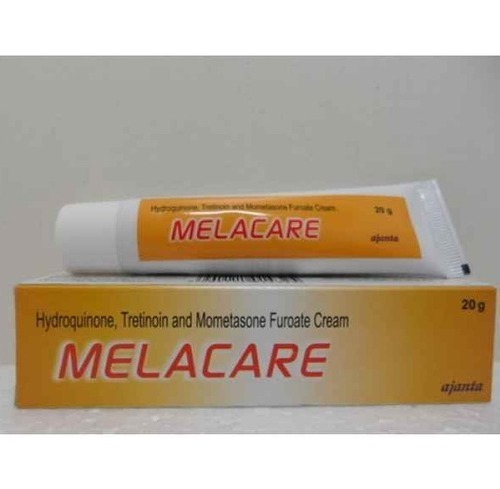 Melacare Cream is used to reduce the colour of skin and remove any dark spots like age spots, freckles, and other skin discolouration associated with skin trauma, pregnancy, birth control pills, eczema or hormone replacement therapy. 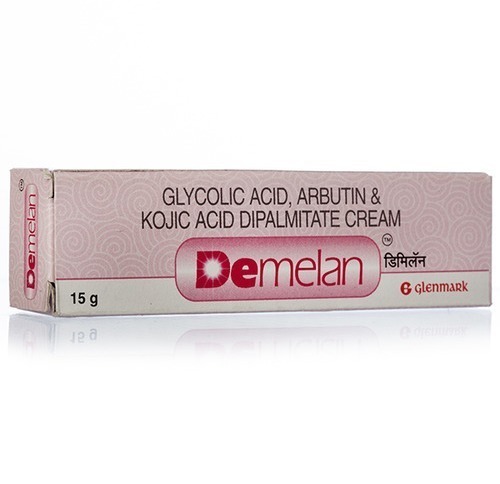 Melacare Cream acts as a skin-bleaching agent and works by inhibiting an enzyme reaction in the applied skin cells. 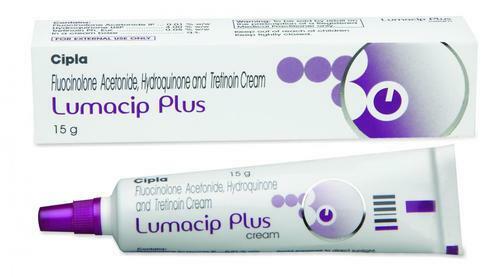 Lumacip Plus Cream is a topical corticosteroid. It is used to treat the dryness, itching, inflammation, redness, crusting, scaling and discomfort of various skin conditions like eczema, dermatitis, allergies and rash. Lumacip Cream is an effective topical medicine used to treat dark colored patches, freckles, and spots on the skin that appear due to sun exposure, hormonal changes, aging etc. 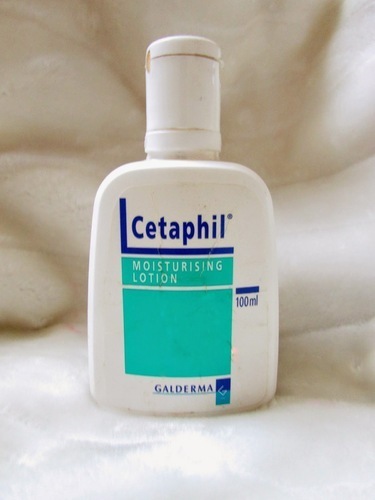 Cetaphil Skin Lotion is used for Skin moisturizer, Dry skin, Moisturizer, Thickening agent and other conditions. Cetaphil Skin Lotion may also be used for purposes not listed in this medication guide.Cetaphil Skin Lotion contains Stearyl Alcohol Topical as an active ingredient.Cetaphil Skin Lotion works by promoting hydration to the skin. 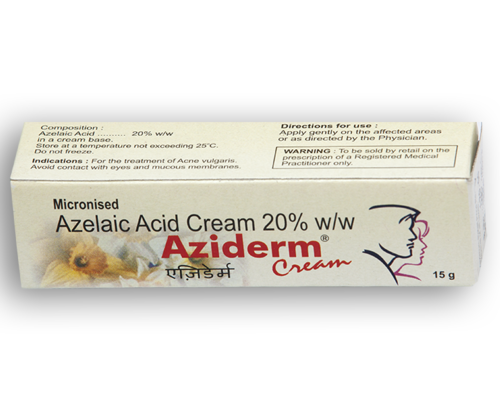 Aziderm 20% Cream is used to treat mild-to-moderate acne (pimples). It is used to relieve symptoms such as bumps, lesions, redness, etc. associated with different forms of acne. Aziderm is a skin cream for external use, and Azelaic acid present in it directly acts on acne and hyperpigmentation. 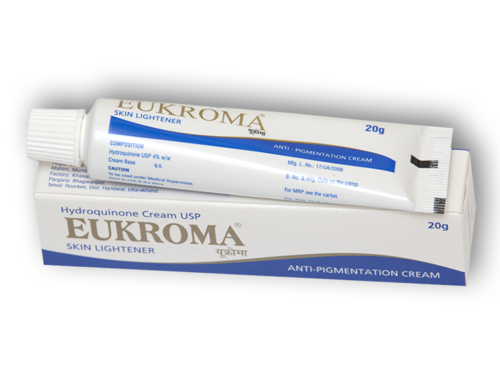 Some people are even known to have used Aziderm cream for bleaching of facial skin, since the chemical has inherent skin brightening features. 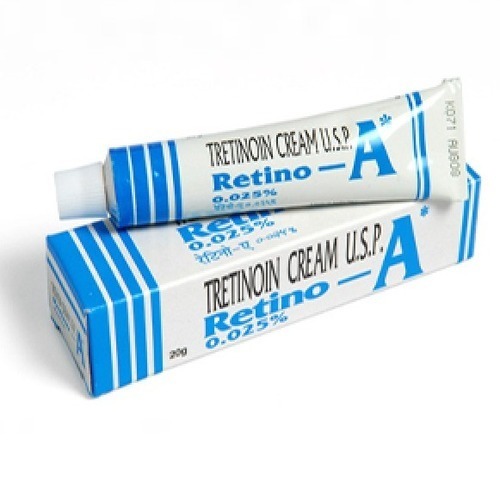 The application of the cream on the affected portion could be done once or twice a day. This drug can cause side effects like tingling and burning sensations. 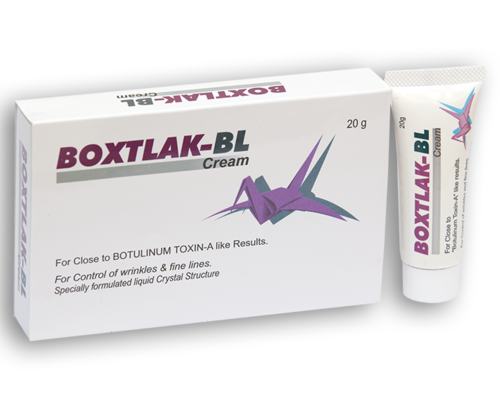 Boxtlak Bl Cream is used for Fissures, Wounds, Burns, Psoriasis, Scleroderma, Photoaging skin, Inflammation, Oral mucositis, Skin diseases, Diabetic wounds and other conditions. Boxtlak Bl Cream may also be used for purposes not listed in this medication guide.Boxtlak Bl Cream contains Alfa Lipoic Acid Topical, Allantoin Topical, Centella Asiatica Topical and Olive Leaf Extract Topical as active ingredients. 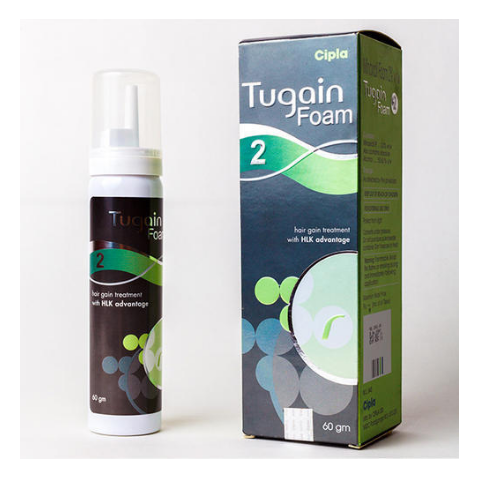 Tugain 5% Foam is an antihypertensive and is also used to promote hair growth. It is used only in males to prevent hair loss. It should be used for 3 to 4 months to see the hair growth. Any symptoms of scalp irritation or rash should be informed to the doctor. 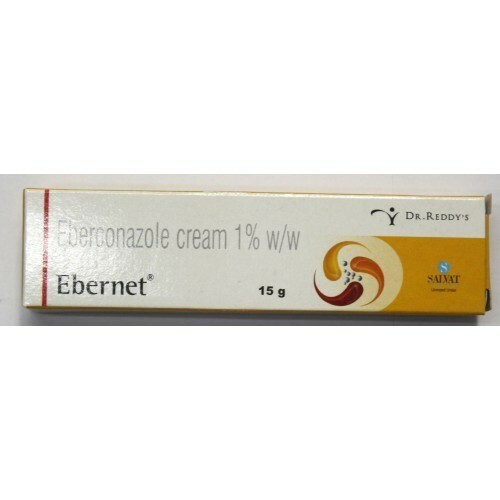 Ebernet 1 % Cream is a broad-spectrum antifungal agent used in the treatment of superficial skin infections caused by fungi.